Southend-on-Sea in Transition | SosinT is a community-led initiative which is working towards the creation of an Energy Descent Action Plan for the town. The thinking behind TTW is simply that a town using much less energy and resources than we presently consume could, if properly planned for and designed, be more resilient, more abundant and more pleasurable than the present. Welcome to the home of Southend in Transition, an exploration of how the people of the borough of Southend on Sea including Southend, Westcliff, Prittlewell, Southchurch, Leigh, Shoeburyness, Eastwood and Thorpe Bay can prepare for a carbon constrained, energy lean world. SiT is a community-led initiative which is working towards the creation of an Energy Descent Action Plan for the town. The thinking behind SiT is simply that a town using much less energy and resources than we presently consume could, if properly planned for and designed, be more resilient, more abundant and more pleasurable than the present. SiT also believe that only by involving all of us – residents, businesses, public bodies, community organisations and schools – will we come up with the most innovative, effective and practical ideas, and have the energy and skills to carry them out. Please note that this website, as well as the SiT initiative, is in early stages of development at the present time and is very much a ‘work in progress’. * For every 6 barrels of oil we consume, we are only discovering one new one. From scientists to economists, activists to businessmen, politicians to campaigners, there is now universal consensus that Climate Change is perhaps the single greatest environmental challenge in our history. LIFE BEYOND OIL – THREAT OR OPPORTUNITY? Climate Change and Peak Oil can cause us to feel confronted by something overwhelmingly huge that we cannot do anything about. The central message of the Transition Movement is that this state of mind is not the place to start from if we want to achieve something, do something or create something. Indeed, by shifting our mind-set we can actually recognise the coming post-cheap oil era as an opportunity rather than a threat, and design the future low carbon age to be thriving, resilient and abundant – somewhere much better to live than our current alienated consumer culture based on greed, war and the myth of perpetual growth. * What would a low energy society look like? * How would the Borough of Southend house and power itself? * How will we meet our food and health needs? * What will our transport look like? * Where will business and economics fit in? * What about education, arts and culture? If these issues concern you and you would like to find out more about how communities can respond and plan proactively and positively for the future, please come along to our forthcoming meetings, events and presentations. Our Blog page is also regularly updated with reports from meetings and events, articles and other resources. 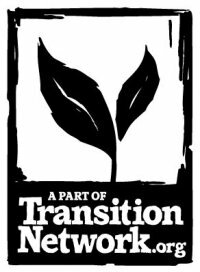 To find out more about the ideas behind the Transition movement, watch these short videos here and here.